Ochi Chieko (Kawabe Chieco), the actress who played Osaka Naru in PGSM and one of the actresses playing Sailor Mercury in the Sailor Moon musicals, has been pregnant for more than four months. However, she is currently taking a vacation with her hubby to Hawaii after being okay’d by her doctor. My congratulations to the couple! Know more about her whereabouts after PGSM here. 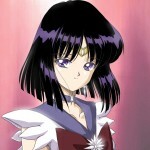 Enjoy his latest Hotaru/Saturn works here. I bet many of you are partying it up! (Or eating a lot of food, like me!) A large population of Sailor Moon fans are Chinese, and this is an insanely huge holiday. The makers of Sailor Moon did not fail to notice this, and manufactured an item just for the Chinese New Year! Some of you are thinking, “Whaaaat? Really?” Its no surprise! In Japan, there are Sailor Moon Christmas trees. In the United States, there are Sailor Moon Valentine cards. In Korea, there are Sailor Moon Birthday wrapping paper. 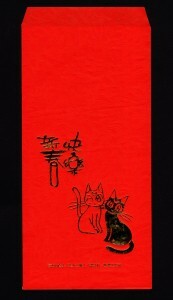 For the Chinese, there is the Sailor Moon red envelope. And yes, its authentic. 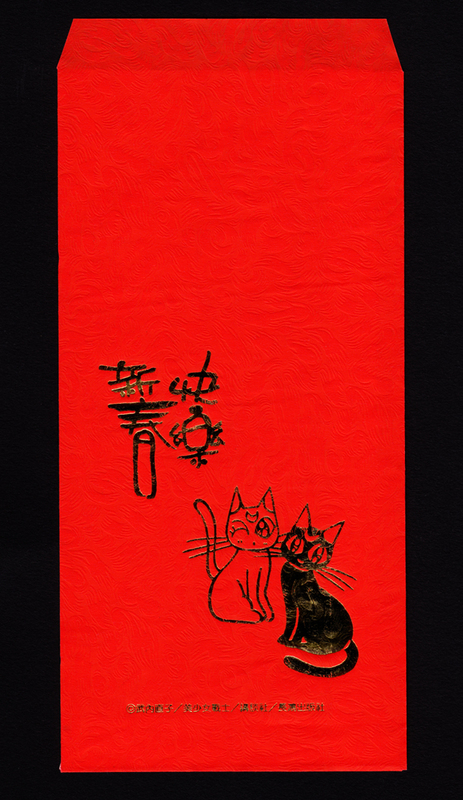 In the Chinese culture, it is important to give away red envelopes during the Lunar New Year. People hand them out to their loved ones, because this red envelope embodies their blessing of love and happiness into a small deliverable package. The fact that a red envelope was manufactured specifically for Chinese fans, is an extremely sweet and enduring gesture from the folks behind Sailor Moon. Nakagawa Shoko Sings More Sailor Moon! Good news for Sailor Moon and Nakagawa Shoko music fans! 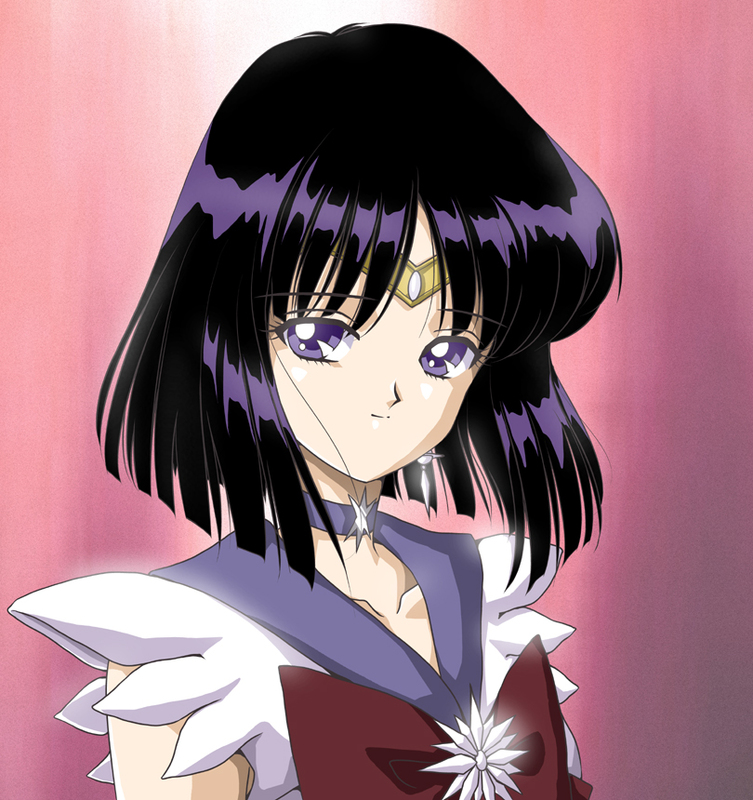 Those of you who are familiar with Nakagawa Shoko, know that she is a die-hard Sailor Moon fan. She cosplays it, buy the toys, and pimps out Sailor Moon’s famous “pose” whenever possible. In one of her previous mini-albums Shokotan☆Cover, she sang the Sailor Moon R ending theme song Otome no Policy. She did an amazing job covering that song, and went on to perform it during her 2009 Magical Tour. æ­å–œç™¼è²¡ï¼Kung Hei Fat Choi! Happy Year of the Tiger! 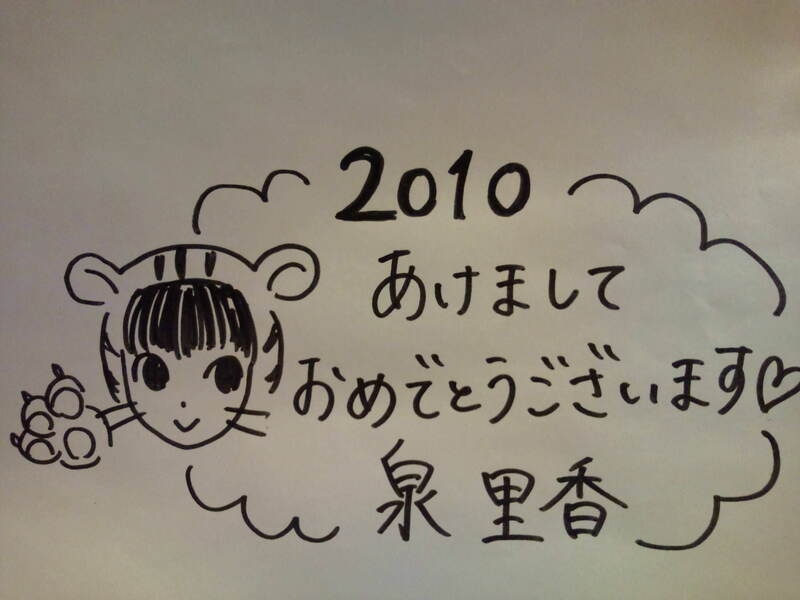 ^___^ Shown on the left is Izumi Rika’s handwritten New Year’s greeting message earlier this year (unlike the other parts of East Asia, the Japanese have been celebrating the New Year according to the Western calendar since the Meiji Period). 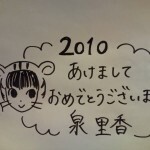 Her handwriting is stylish, and I love that cute tigress she drew. You are currently browsing the Three-Lights.net Blog archives for February, 2010.